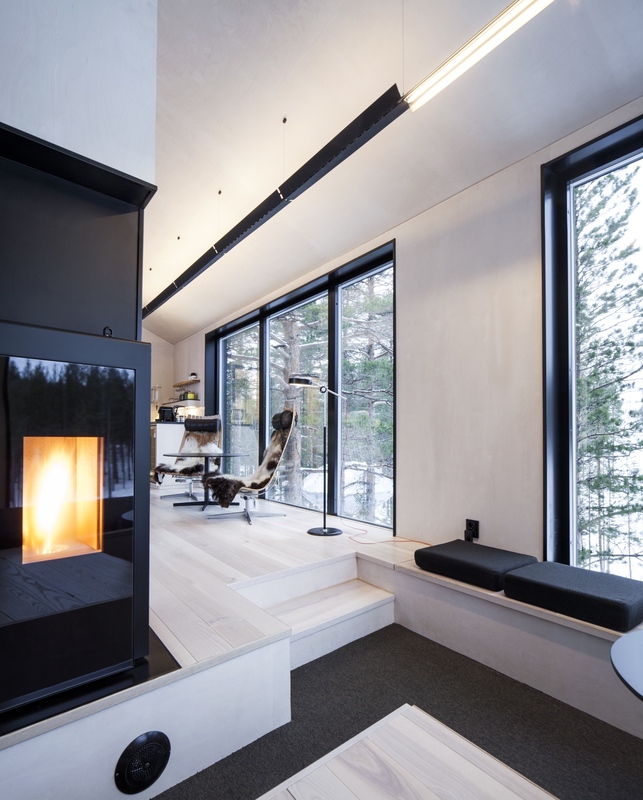 Four hours by train north of Stockholm just below the Arctic Circle, Treehotel opened in 2010. There are seven 'pods' in all - The Bird's Nest, The 7th Room, The Cabin, The Mirrorcube, The UFO, The Dragonfly and The Blue Cone - all four to six metres above the ground, all designed by different architects to avoid any hint of repetition. Treehotel offers a unique hotel experience: tree-rooms with contemporary design in the middle of unspoiled nature. Here you can forget about the time constraints of everyday life, enjoy the serenity, and rejuvenate in a sophisticated yet familiar environment. From Treehotel’s rooms you get a fantastic view of the Lule River valley, miles of forest and the powerful river. Large moose are often reported to wander through the forest below the tree houses. 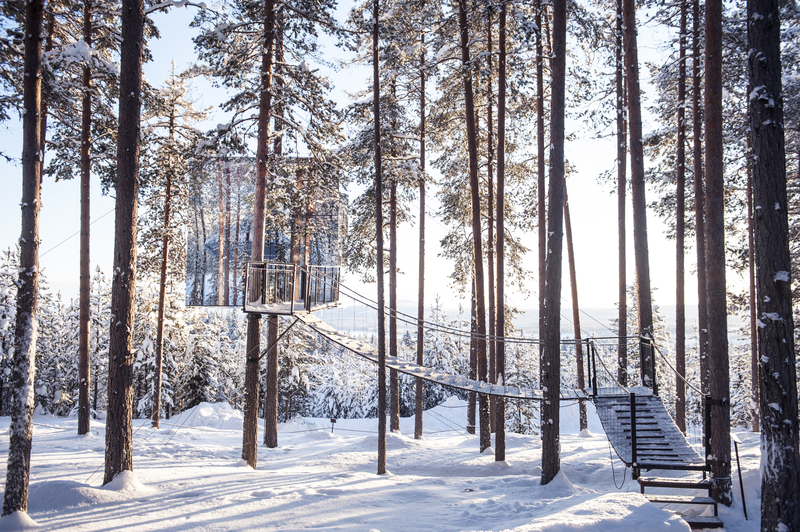 Treehotel is located in Harads, near the Lule River, about 100 kilometres from Luleå airport. The Treehotel is a unique experience - there is limited Wi-Fi and you will be in a remote location. The tree houses are not conventional hotel rooms - bathroom facilities are environmental friendly (combustible), showers are in a common area and you may not fit a large suitcase in your particular tree house. Dinner can be arranged with the hotel - limited choices in the area. Generally, it is a home cooked buffet dinner with two choices of main, but you may only get a choice of one main meal, depending on the time of your visit. Activities available can vary so be sure to ask us about what you might like to do if you have a day available. Hiking and walking around the forest is the most obvious activity but if you are not mobile, this might be a problem. Horse riding, forest walks, kayaking, sea kayaking, Northern lights photography, Bear Dinner with Sami Story, Sami culture experiences and mountainbiking can be arranged for your stay at the Treehotel (depending on the season and minimum no.s of participants).